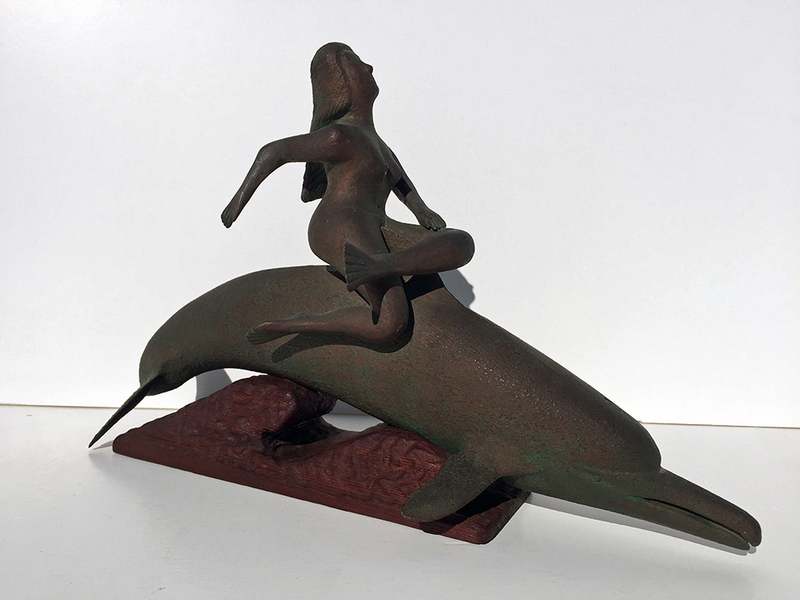 Port N' Starboard Antiques 53 Falmouth Rd Falmouth, ME 04105 mleslie@maine.rr.com www.portnstarboardgallery.com Folk Art Mermaid Riding Dolphin Unique bronze painted sculpture signed “R.J. Innis 1973, So. Dennis, Cape Cod, Mass.” (American, 1893-1983) 13” Long, 7 ¾” High, 4 ¾” Wide.